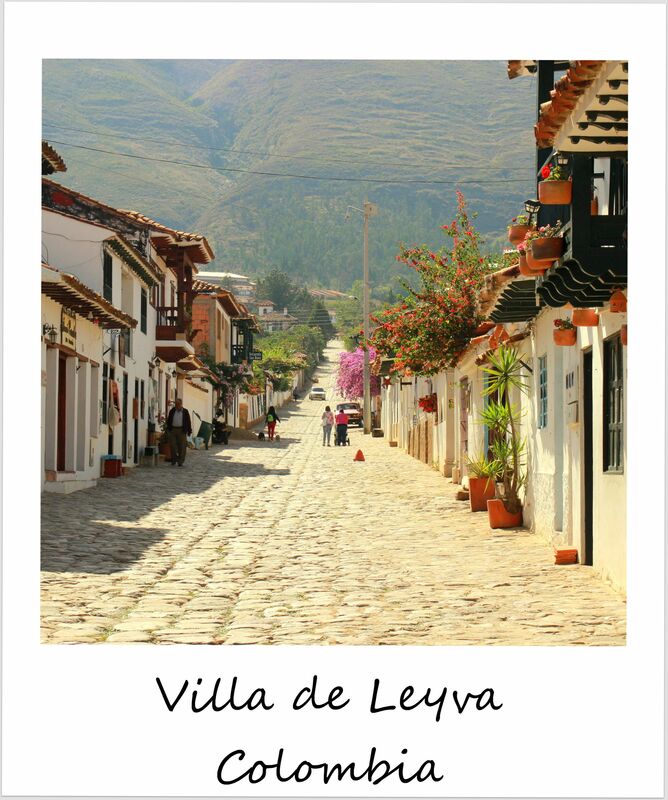 Ah, Villa de Leyva! It was love at first sight between this charming little village with its cobble-stone streets and bright white houses and me. With the exception of Minca, I’d only been to big cities in Colombia so far, and it was a refreshing change to experience a sleepy mountain village. And it’s not just a quaint little village, but also one of the oldest ones in the country, dating back to 1572, and sometimes it felt like someone transported me right back to the 16th century – most of Villa de Leyva feels just like it must have felt then (except for the addition of cars and motorbikes). About 4 hours north of Bogota, it is one of the most popular weekend getaways for the Bogotanos, and it’s easy to see why: the narrow streets are lined with artisan stores for some shopping, or you can simply enjoy a cup of coffee right on the plaza, which happens to be the largest town square in all of South America (! ), and its vast size is remarkable. Rease and I spent a few days doing exactly that: wandering the narrow cobble-stone streets, marveling at the beautifully arranged flowers on the balconies of most houses and the meticulously tiled terracotta roofs, sipping beers on the plaza, indulging in ice cream to cool off (Villa de Leyva gets incredibly hot during the day! ), and trying to put our cameras down (nearly impossible). There are several hikes around Villa de Leyva to see waterfalls and fossils, of which many have been found around here, but we only managed to brave the heat for one hike to see the Pozos Azules, five bright blue pools which would’ve been the perfect place to escape from the scorching sun, but sadly swimming wasn’t allowed. After a couple of days in this tranquil mountain retreat, we boarded the bus back to Bogota, which is pretty much the opposite of Villa De Leyva. If you’re traveling around Colombia, don’t miss this little gem in the mountains… It’s a special place. Planning an epic summer of travels in the U.S. I couldn’t agree with you more! I fell in love with Villa de Leyva last year. There are also many other wonderful small towns in Colombia, I’m sure you will discover them. Don’t miss San Agustin.